What Homeowners Need To Know and Do… Before, During & After Buying New Carpet! Buying new carpet can be quite confusing and it takes a lot of time and energy to choose the right carpet that is capable of meeting all your needs and goals. 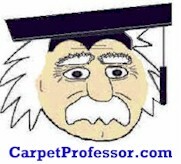 The more you learn about how to buy new carpet, the happier you will be with your new carpet for many years to come. Many homeowners unknowingly make simple but Costly Mistakes when buying new carpet. To make sure you make wise and informed choices, I have put together a simple Carpet Buying Checklist to make it easy! I designed my free checklist to help homeowners avoid common pitfalls and help make sure that choosing new carpet is simple, satisfying and successful from start to finish! My website is totally free so take your time and read through my entire website. Take advantage of all my insider secrets about “how to choose the right grade of carpet” and “how to select the correct padding” and make sure you get qualified installation too… All at a fair & square price!